Build confidence in your students, encourage them to explore their individual creativity and self-expression, and have them say with pride "I made it!" Included are 60 age-appropriate art activities that feature 20 different processes or techniques. These processes include blending, dipping, rolling, wrapping, and more! By focusing on the creative experience as well as the end product, your students will enjoy a wide variety of art experiences. 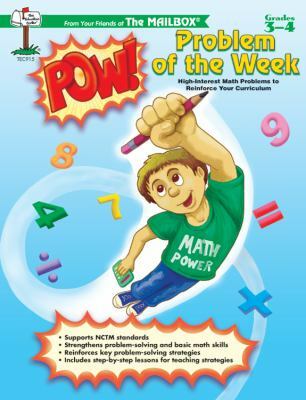 Each activity is simple for you to prepare and implement.Crump, Irving is the author of 'Problem Of The Week [POW], Grades 3-4: High-Interest Math Problems to Reinforce Your Curriculum' with ISBN 9781562345228 and ISBN 1562345222. Loading marketplace prices 5 copies from $9.88 How does the rental process work?